On Friday you will have the opportunity to improve your old ideas and plans. Now things will happen much easier and with ease. 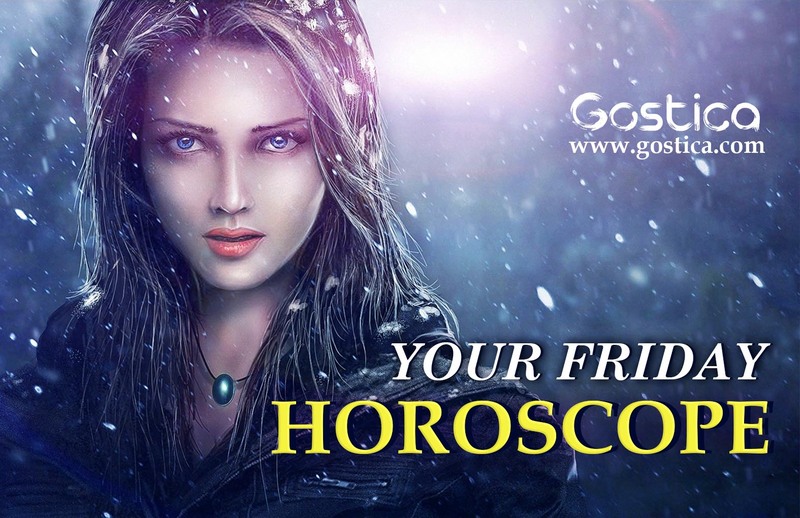 You will receive help or valuable advice from a person born under the sign of Gemini, Libra or Aquarius. On Friday you will be surprised by events or news related to your past or present love life. If you are traveling today for work for a particular purpose, you can expect success and satisfaction with what you have achieved. Attention will be required in your financial relationship with a woman over 35 years of age. If you were born under the sign of Aries, Leo or Sagittarius, today you will have an interesting day, with peaks and drops in important matters. The need will be for the urgent transformation of your plans and relationships. The influence of a man in your present engagements will be beneficial to you (even if you do not like it). If you were born under the sign of Taurus, Virgo or Capricorn, today be open to the information and suggestions that you will receive from a person born under the sign of Aries, Leo, or Sagittarius. You will worry about news or events related to a representative of any of the three zodiac signs: Pisces, Cancer or Scorpio. Overall, this will be a day of dynamic communication, as well as rapidly changing moods and plans. If you were born under the sign of Gemini, Libra or Aquarius, on Friday you will be saddened with news or conversations with someone in your circle of friends. Planned or unexpected encounters today will disappoint or worry you rather than give you positive emotions. Events in the life of a person you know will be a major topic of some of the conversations you will have today. If you were born under the sign of Cancer, Scorpio or Pisces, you will have nice engagments related to news from near and far. There may be events related to childbirth or to a birthday. You will be delighted with the news you will receive from a man born under the sign of Capricorn, Taurus or Virgo. Sometimes you can pull out a lot more sensitivity than you usually show because you are particularly involved in situations, even if they do not directly affect you. It would be nice if you managed to show more often this sweet and vulnerable side, because it is much appreciated and would have you esteem more, especially from those who do not esteem you at all, as they consider you little capable of empathy and solidarity. There are some emotional gaps that you should fill in this period since you need love reserves to face the next few days, where you will not have much chance to get affection from others. You will be subjected to a considerable pressure, which you can not underestimate and that perhaps will not help you improve your mood, so you need to be more quietly sentimentally. The next few days could be decisive for one of your projects, which you had already abandoned, but which could perhaps miraculously reactivate, if today you will listen and listen to a person, without interrupting it. The future is unpredictable unless you try to condition it in some way by giving it a hand. It is normal that if you remain defenseless, nothing will change in your existence, but if you work hard, something will have to change by force. Break the patterns! Try to convince people around you that a revolution is necessary and that they must participate. Many people are only lazy and only need to be stimulated. You too have gone through that phase, so you know what it is about, but you also know how to get out of it, so you’ll have to do everything for these and make sure you get rid of the oppressive weights as quickly as possible. Soon you will find a way to deal with a situation in the best and most convenient way for you, but in the meantime, you should stick to what others impose on you. It is always better to do something rather than do nothing. We must always be on the move, we must always try to make a positive change to what afflicts us, otherwise, we always stay in the same place and we do not evolve, while those around us go forward.